Exactly what I was thinking and wanted to post, but Tim Gatto does it much more eloquently than I ever could. Gotta remember Gatto's name and find him in future. He really is good. Unfortunately I'm horrible at remembering names. 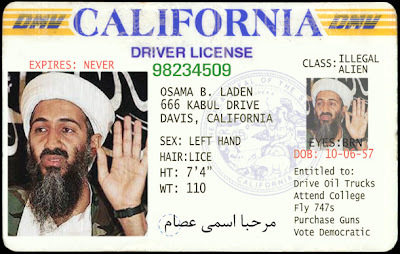 I carry my driver license so I can remember my own. So many issues and so many crimes against humanity, where has our nation gone, what have we turned into, a country that resembles everything we have learned to despise since childhood? We were taught that Adolf Hitler was the devil incarnate, that freedom and our civil liberties were not to be taken for granted…ever. Yet somehow we find ourselves in a conundrum that nobody could envision when we were young. What happened, who did this? Why are we throwing nuclear waste around the Middle-East, why won’t we let Seibel Edmonds speak? Who was responsible for 9/11? Why, when the majority of hijackers originated from Saudi Arabia are we fighting in Iraq? Who’s fixing the votes everywhere?